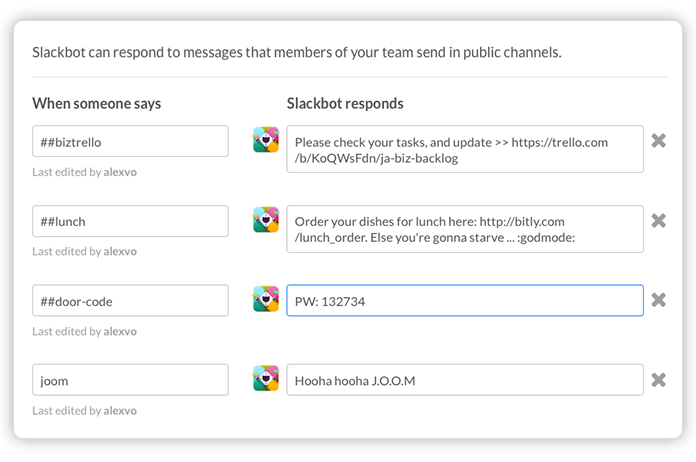 I am very excited to tell this story: We’re moving all our team communication from Skype into Slack. And it turned out to be one of the best decision we have made regarding the internal communication, and also work productivity here, at JoomlArt. First and foremost, if you are new to Slack, then this is my referral link to sign it up. However, this post is not “just another affiliate marketing post”, In the next 3 minutes, I am going to share with you my own experience after moving my whole organization with 80+ people from Skype to Slack. From now on, I will have to pay $10,000+ for Slack every year, I will be thankful if you sign up using my link: you will have $100 credit in your account and we will get $100 deducted from our billing. As a newbie, we don’t know all the rules. Yeah. Just simply press ⌘ +? (Ctrl + ? in Windows), a shortcuts cheat sheet will popup for your reference. 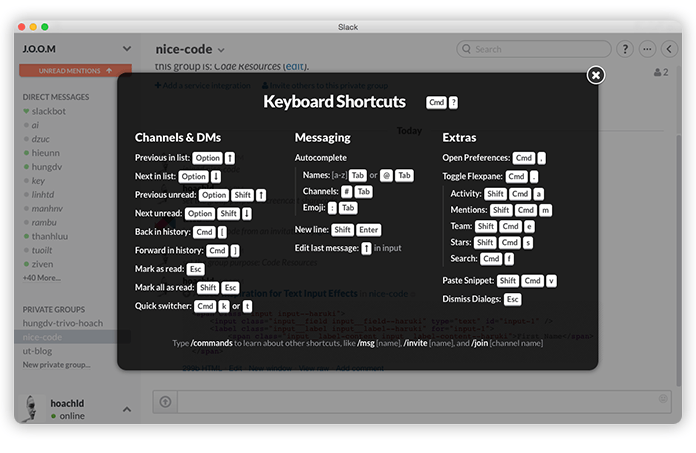 One of our favorite shortcut is Slack’s “Quick Switcher”, press ⌘ +K, (Ctrl+K on windows), an auto-complete finder will help you find any user, channel, or group at a blink of eye. What can you ask for more? 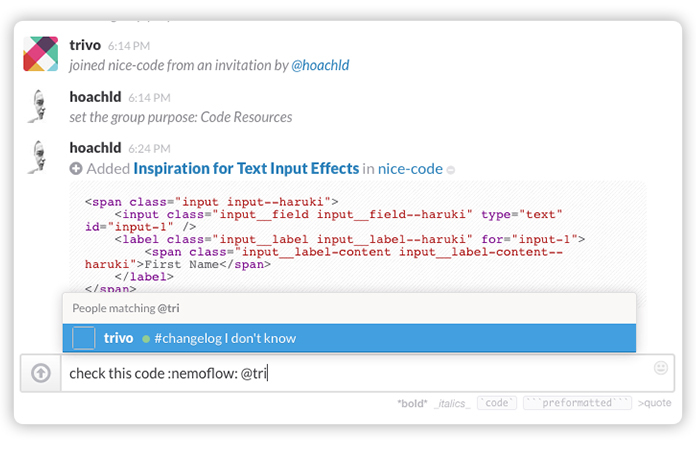 There’re so many things to customize in Slack. We find numerous funny things to make it like home. Well, you could hire someone like @alexvo to craft your funny slogans, or you can do it yourself. On the customize page, you can add more of your favorite emoticon, or even team members’ small avatars. 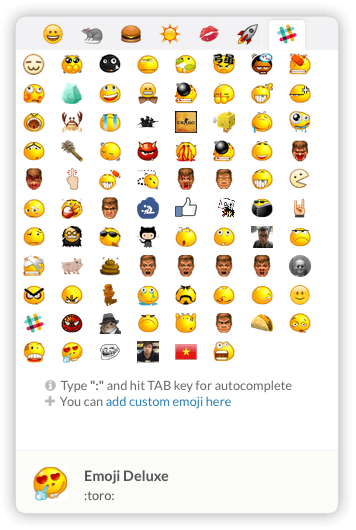 Let bring some nostalgic feelings to Slack, or should I say Skype and Facebook emoticons. Your choice! Or just look at the hint below the chat form while you’re typing. Slack alone is very powerful. But there’re so many things our team can’t live without. Here comes the powerful integration we’ve made during the first week. 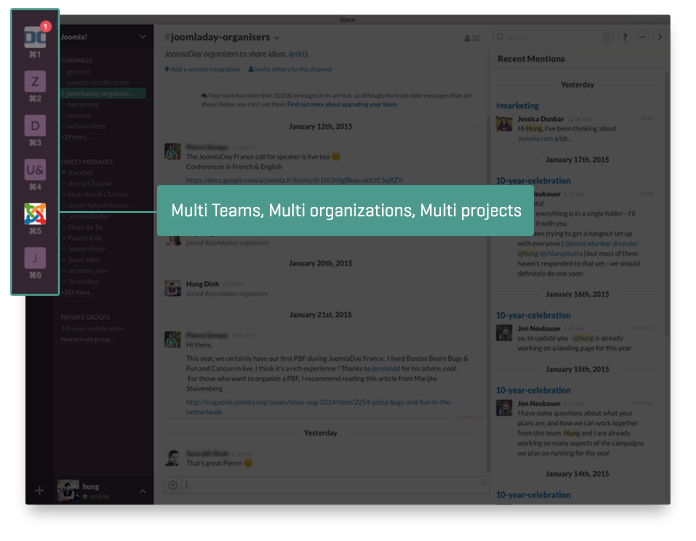 Not only our team, we can expand Slack for multiple teams and organizations. We can have cross-teams communication with only one account. I'm thinking of bringing some customers to Slack for better understanding their problems. Or maybe, you can join us!? JoomlArt was born with codes. And Slack syntax highlighting with Snippet is fit for our culture. Simple as that! I'm not sure mention-with-@ is an invention of Facebook or not. But in Slack, this thing is critical, especially when you're working on a large team and don't want to annoy everyone. Just simply mention your colleague's name along with '@' to remind her about your question. You can also refer to the whole group or channel with @group / @channel. It is very convenient. For a team less than 100 members, when you make the transition, make it as a whole and make it fast. I have talked to a few CEOs who try Slack on a small group first and deploy to the whole organization later. It works, but it takes too much time. Kill Skype, Facebook or any kind of of chatting tool you are having. At least in the first 2 weeks of Slack implementation. 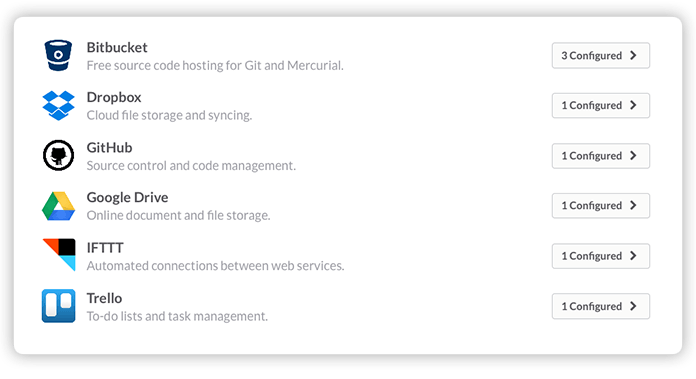 People need to talk, and Slack should be their only option. 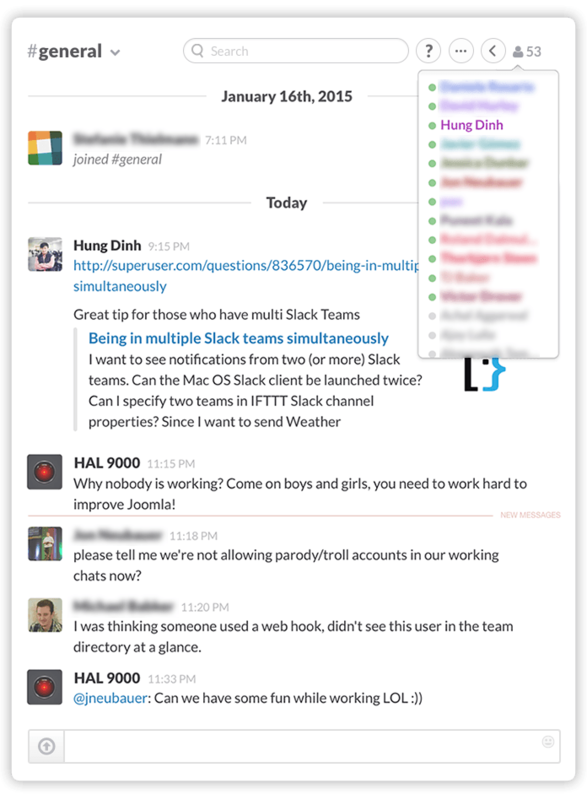 Beside the slick Mac Desktop App, ask your team to install Slack on their iOS & Android. It increases the response speed up to 30%. Yeap, that’s that. 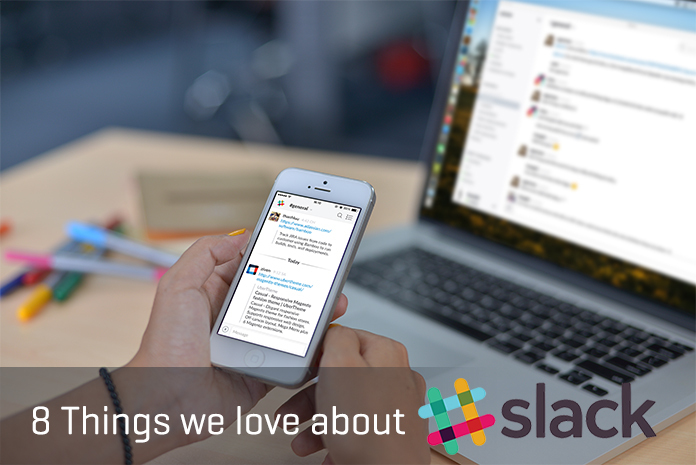 We hope to have more things to share with you along the way about Slack. 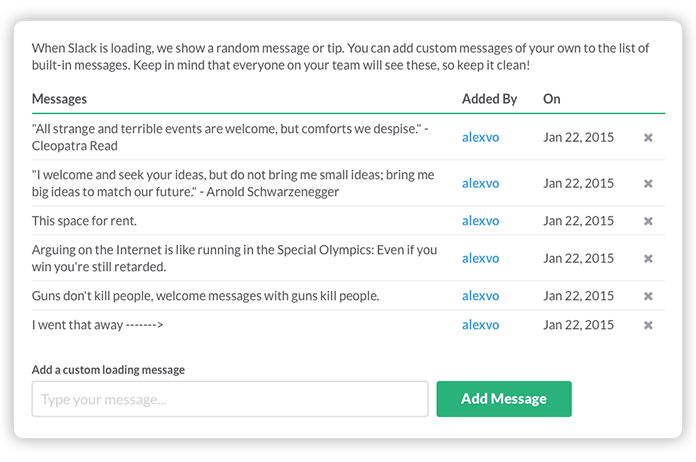 Or you want to test run this communication tool for your own team.